Arrive in Delhi by Train . After reaching in Delhi Meet our representative and drive to Nainital. Nainital is a Himalayan resort town in the Kumaon region of India’s Uttarakhand state, at an elevation of roughly 2,000m. Formerly a British hill station, it’s set around Nainital Lake, a popular boating site with Naina Devi Hindu Temple on its north shore. There’s shopping in Bara Bazaar, and hiking trails with mountain views crisscross the surrounding area’s wooded hills.Over night stay at hotel. Today morning after breakfast visit for Nainital seghtseeing. NAINI LAKE :- The Lake is a photographer's delight .It is the Naini lake after which the hill station has been named . The lake is beautifully surrounded by verdant hills from all side, feast for you eyes . According to a legend , the lake came into existence when the eye of Satis body fell out while lord Shiva was carrying her . The whole town of Nainital is situated circling the naini lake . 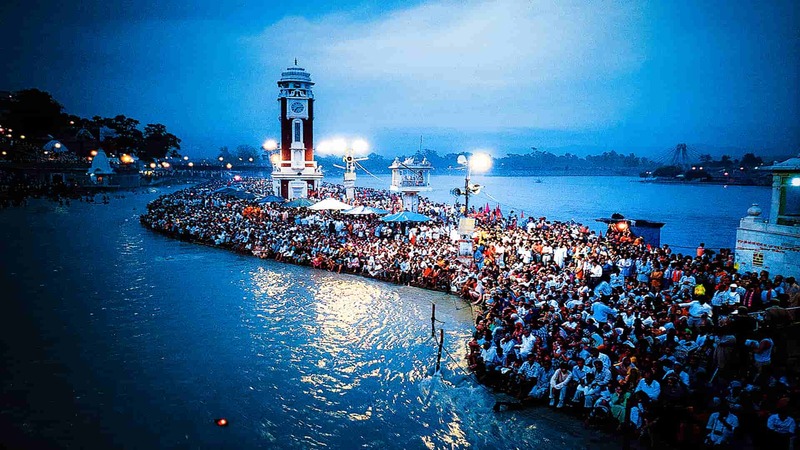 NAINA DEVI TEMPLE :-The temple is a major crowd both for pilgrims and tourists . The original structure of the Naina Devi temple was destroyed in this year 1880. the temple was later rebuilt to its present structure . It stands on the banks on the Naina lake , toward the northern side .The temple has the idol of the presiding deity Maa Naina Devi . MINI WATERFALL:- About 5 kms away from Nainital on the way to Kaladungi just below Sariyatal, (2100 MT) Waterfall is the beautiful tourist spot, waterfall looks refreshing as it splashes milky water through the rocks into a pool of water maing it is a must visit. CAVE GARDEN :-The Eco Cave Gardens in Nainital is a favourite of both the young and the young at heart. Kids can particularly enjoy their time at the gardens as it can be a good introduction for them of an eco-friendly life. The famous Caves Garden features six caves along with a wonderful musical fountain. Do remember to make a visit to the gardens to add to the charm of your holidays in Nainital. & over night stay. Meal :- Breakfast After breakfast visit to Nainital lakes tour covering Bhimtal ,Sattal, Naukuchiatal Hanuman garh Ghorakhal, Tea garden etc if interested can do the adventurous activity like paragliding in Naukuchiatal return to nainital by evening rest of the time utilizing in mall road & malital bazaar & returning hotel. In the evening, enjoy shopping at the Mall Road. overnight stay at hotel. NAUKUCHIATAL:-(25.2 KM) Naukuchiatal or ‘lake of nine corners’ is a small hill station in Nainital district of the Indian state of Uttarakhand. The lake is 175 feet deep and is situated at 1220 mts above sea level. It is surrounded by hills covered in trees and shrubs. HANUMAN GARHI : Is the temple of lord hanuman garh (or hanumangarhi ) is situated at an altitude of 1,951 m above sea level .pilgrims arrive here to worship lord hanuman ,a nobble hero and great devotee of lord Rama as mentioned in the Hindu epic Ramayana .Besides ,the palace is also popular with tourist for heart warming sunset views. GHORAKHAL: (1.8 KM VIA MALL):One of the famous attractions in Ghorakhal is Golu Devta Temple, always in news for the unique rituals performed here. One such ritual is that devotees make petitions at the temple, using stamp papers, to seek desired decree in litigations. On accomplishment of their wish, the deity is shown gratitude by hanging bells or making animal sacrifice. People from all over the region consider Golu Devta, the presiding deity of the temple, to be an incarnation of Lord Shiva and ‘the God of Justice’. After having the breakfast check out from the hotel , drive to Delhi we will drop you railway station Delhi.TOUR ENDS BUT SWEET MEMORIES ALWAYS REMAINS. 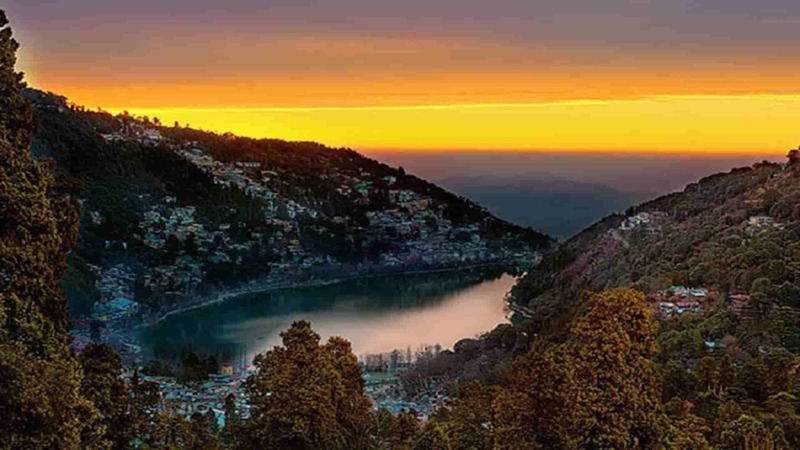 Nainital is India's most loved hillstation. Nainital tourism has hosted many travellers across the globe with loads of unbound love. Exploring Nainital is a loving and a great value for money experience.Nainital tour package offers a great amusement to all the tourists worldwide. Nainital is a lovely hillstation of India. This great place is famous for its lakes. Nainital is an amazing place for a vacation during the summers. This place offers an ideal ambience for honeymooners and backpackers. Nainital is a magnificent hill resort. Nainital tour cost is so pocket friendly. You can spend more than a week in Nainital at just about the sum of 5000 rupees. The hotels ranges as per your pockets. You can avail yourself a room ranging from rs.700 t0 3000, to even 7000. It all varies as per your budget. Nainital is a pocket friendly destination for vacations. Nainital travel guide will give you a fair idea about the places to visit in Nainital. The great lakes of Nainital will enthrall you for sure. Places to visit in Nainital includes Naini Lake, The Mall Road of Nainital. The top sights include Mountain Magic and Snow View. You can witness the Himalayan region from the mystic valley of Nainital. It is one of the most loved hill-station of India.The variety of options to choose from, In Nainital one can do. Adventure, cable car, boating and the like, Nainital offers many activities to satiate you. There are wide range of options for everyone. Nainital tourism is so hospitable and kind. The place is a good option for couples who are looking to spend some quality time amidst the peace. Nainital tour packages has got a wide spectrum. There are tour packages starting from all over the country. 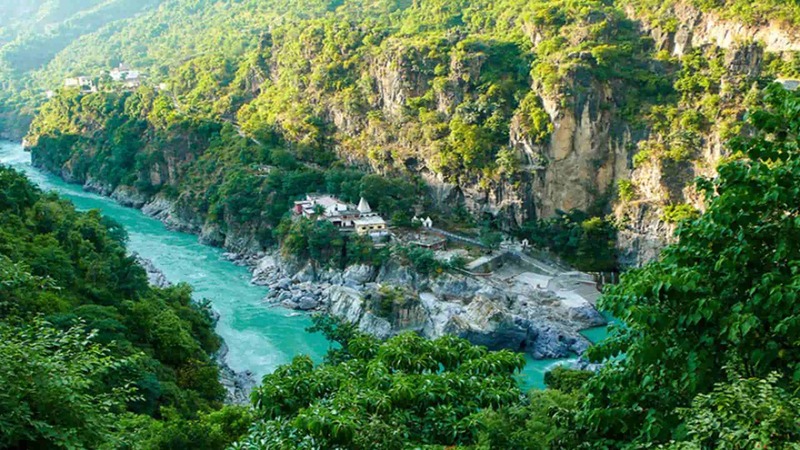 Nainital also offers great nature exploration for people around the world. Every year the turn out of the foreigners is also plentiful. Nainital tour packages from Delhi to Nainital tour packages from Kolkata and more. Nainital is the most favourite hillstation of the world. Nainital tour package is all you need to spend a super cool summers. Nainital lake will remind you of the great Kashmir lakes. The valleys and the views from Nainital are inexplicable. Nainital tour packages are worth its weight in gold. places in and around nainital are so welcoming and pleasant that once here you'll feel bliss. The charm of Nainital is such that Nainital tourism is the organisation which is busy round the year. Nainital attracts great number of tourists around the year. Nainital tour packages are available as per your own convenience and choice. Nainital tour guide has a perfect detail of the types of packages available. 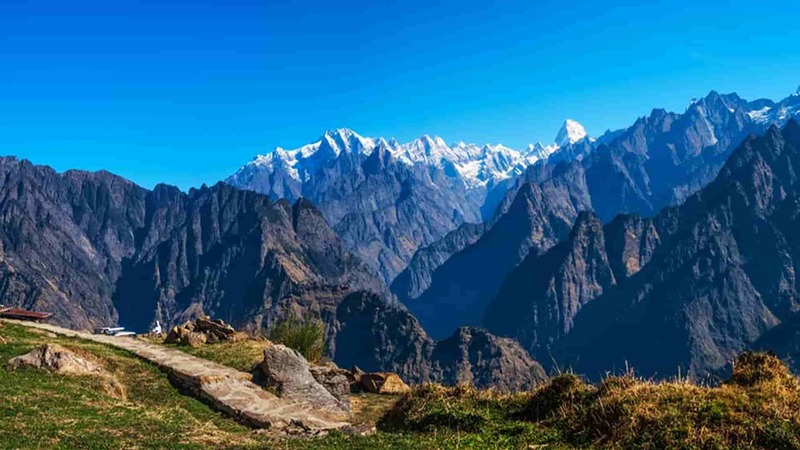 Come spend time in the most loved hillstation in the Kumaon region of Uttarakhand. Nainital tourism is popular worldwide and flourishing at a gradual rate. Nainital is every explorer's favourite. It is on the wishlist of every adventurer. The most peaceful hillstation of our country is a place to be this summers. The hospitality of the people of Nainital and the Nainital lake and its grander will keep you joyful. The essence of Nainital tourism lies in its commitment to serve. Nainital tour packages are a perfect gift to give to yourself and your loved ones in the current season. Come in this hillstation of great lakes.